Bring your staff up to speed more quickly. 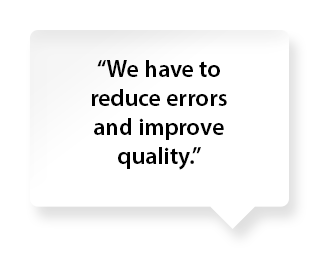 Reduce errors. Make your warehouse and fleet safer. 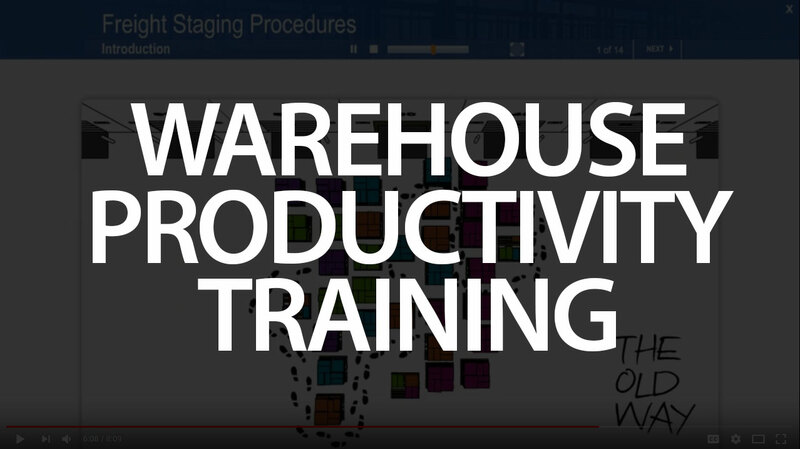 KMI Learning can help with warehouse staff training. 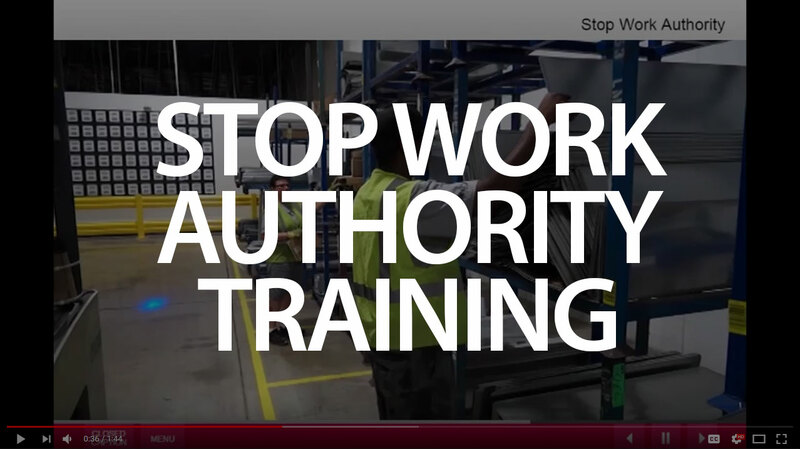 Well, you’ll be happy to know there is a simple and effective solution available that works with any WMS to address all of your warehouse staff training concerns. 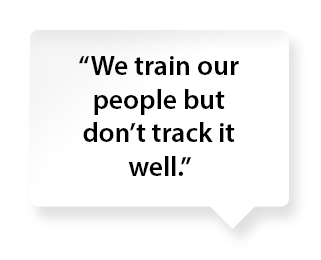 At KMI Learning we can help you jumpstart your warehouse staff training and ensure it is tracked efficiently. We’ve done it for many others and we can do it for you. We’ve found that typically more than 80% of picking and shipping errors happen because of 4 or 5 root causes. Custom online training that directly attacks those causes supporting a communications campaign drives error numbers down within the first week of deployment. 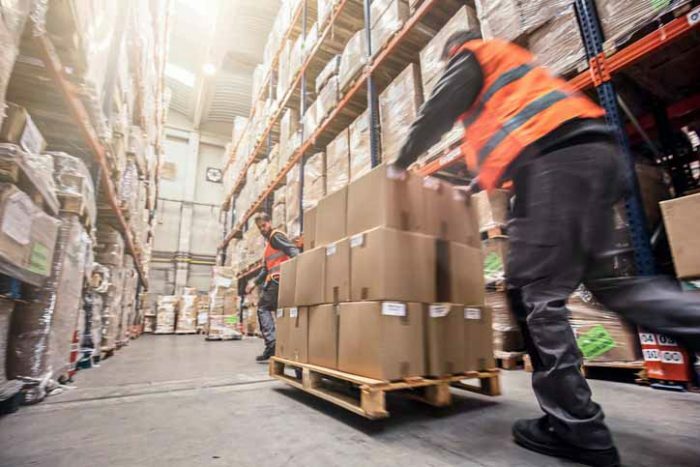 Effective warehouse staff training can have an immediate effect on your bottom line by bringing new hires (even temps) up to speed more quickly. Warehouse managers report to us that they have been able to shave 2-5 days off of the traditional peer-based training they formerly used. And, since your peer trainers are often your best employees you save even more by keeping them on the floor doing what they do best. KMI can provide your company with an “LMS” (Learning Management System) that will provide web-based warehouse staff training to your employees on a variety of topics. Web-based training is easy to implement because KMI hosts everything for you on our servers. Our LMS can track every training event that occurs in your building whether it is online or in a classroom and track it any way you like. Also we can automatically remind you when training needs to be renewed or updated. At KMI we have developed warehouse staff training for thousands of warehouse employees in the key areas of safety, productivity, quality, and equipment certification. With our experience in Operational training, if you have an area of need we have probably already helped another client solve it. We have helped many companies train their employees on important safety topics such as lift truck training, battery changing, proper lifting techniques, safety harnesses, conveyor safety and many more. An organized and documented safety training program helps reduce workplace accidents and proves to OSHA your commitment to safety. Delivery drivers are some of the most at risk team members in your organization. From DOT requirements to HazMat training to safe driving and customer service; they need updated and ongoing training. KMI can provide online courses specific to drivers and can track the training and send reminders when retraining is due. It’s surprisingly easy. KMI has the knowledge and systems already in place to get you started quickly. Many of the questions and challenges that have you concerned or confused have been solved for other customers in your industry. KMI can help you start slowly while your employees get used to web-based training, then increase as they become comfortable. It can be completely scalable. Time is valuable, if your company needs your employees there full time, and there are few opportunities for training, the solution for you are the online Halfday Hazmat training courses. They are the perfect solution for those Hazmat Employees that want to complete a training program to get their initial or recurrent certification, without scheduling and attending lengthy in-person training. KMI Learning enabled a leading medical products distributor to reduce on the job accidents by 50% while improving retention and productivity. Operations, Warehousing, Transportation all have a common theme among their employees: They all need to train. 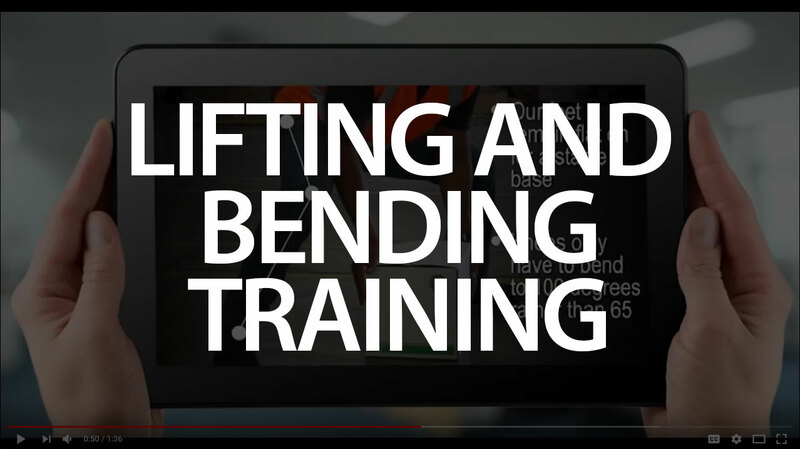 Here are some ways KMI has helped others in your industry solve the training dilemma. Establish a warehouse staff training menu that organizes courses in the most meaningful way for your employees. 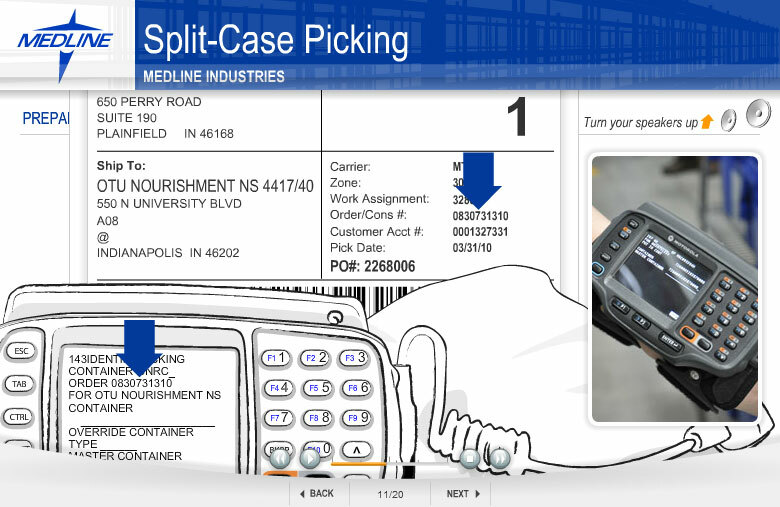 Set up a curriculum so that different job functions are assigned courses specific to them such as receiving, shipping, order picking, drivers. Courses can be “off the shelf” or customized exactly to your needs and your business. KMI will host all courses on their servers so minimal IT resources are needed on your end to get started. Web-based training is available 24/7 on any computer so it is as flexible as you want it to be. Interesting and interactive courses are available to appeal to a younger more “connected” workforce. Courses can include short quizzes upon completion to ensure knowledge has been retained. You set the score required to pass the course. If an employee fails to pass, an email notice can be sent to notify a supervisor that employee needs to retake the course. For training that requires updates or renewal training such as lift truck recertification every 3 years, KMI can remind you. Training can be in most any language and individual employees can choose their preferred language. For your warehouse workers that will really reduce injuries! “KMI training programs have changed our culture. We used to train manually in the lunchroom but were never certain that our employees understood the topic. Now that they train online and take a quiz at the end to confirm they understand the content." “One of our employees was seriously injured doing something they should not have been doing. During the OSHA investigation we were able to prove the employee was properly trained and OSHA closed the case with no penalty to our company."